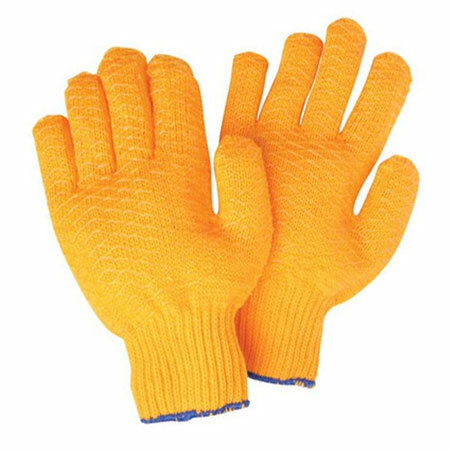 Orange knitted pair of gloves, designed to provide additional grip with the PVC criss-cross pattern. Perfect light manual work and many other light duties around the home or work. Knitted glove with PVC criss-cross pattern for extra grip. Fabric: 70% acrylic, 30% polyester.